According to Variety, HBO has given the go for the production of a pilot of a series remake of Westworld. 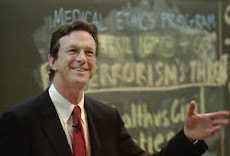 Michael Crichton wrote and directed the 1973 film. Jonathan Nolan, who has written the films The Prestige and The Dark Knight Rises, plus the TV series Person of Interest, will be writing and directed the remake. The HBO rendition of “Westworld” is described as “a dark odyssey about the dawn of artificial consciousness and the future of sin.” The pilot production commitment is a big one by HBO’s standards, indicated the depth of the pay cabler’s interest in the project. mmm...a remake- good-any guess who is goning to portray the rtole immortalised by Yul Brynner.Sometime back there was a remour that Arnold Schwarzenegger would be portraying the gunslinger.